I was getting burned out on tanks and wanted to have some creative fun again. I picked up a 1/35 resin car kit from the early 90s for $5 at a local swap meet and started digging thru the boxes of spare parts. 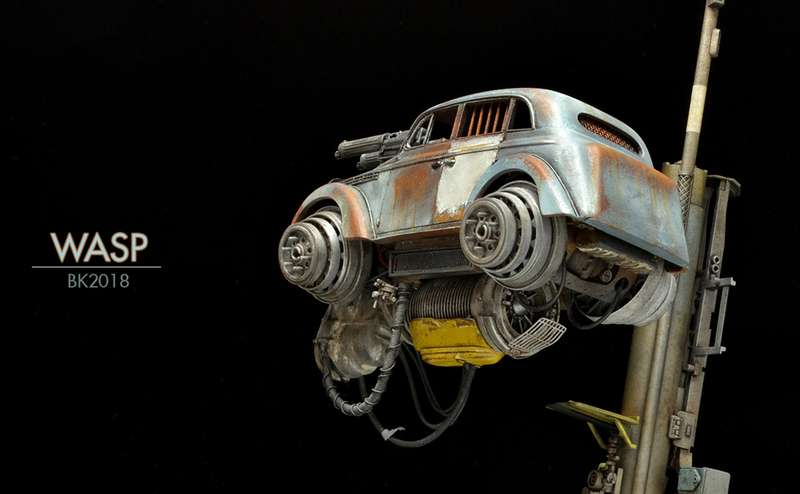 When started the project, I was inspired by the retro-future hover cars of Alejandro Burdisio, but shortly after I posted images of my build, I started seeing several other similarly inspired scratch-builds. 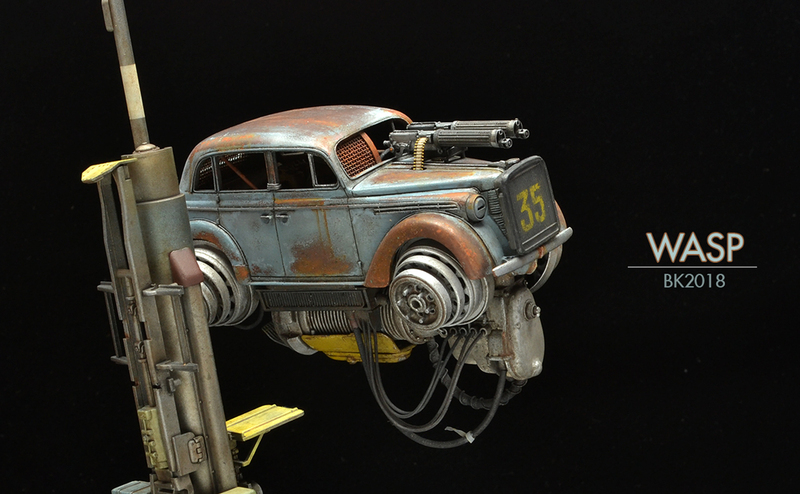 I set it aside for a while and later came back with a Mad-Max/Rat-Rod spin on the basic concept. 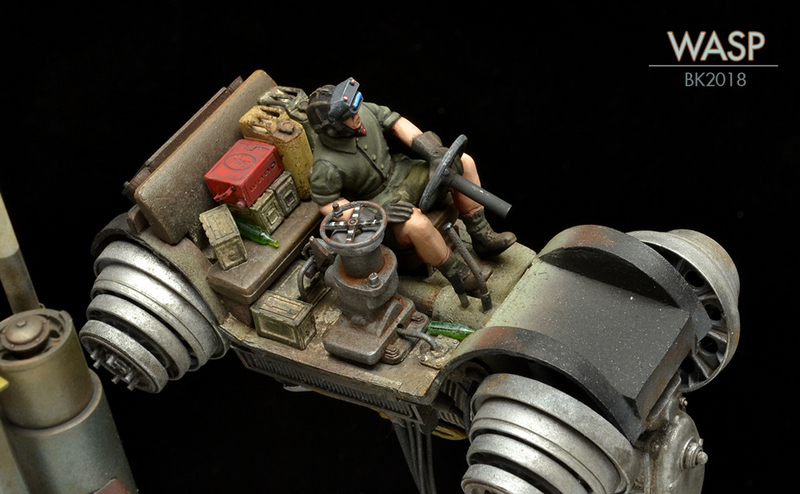 The twin machine guns are a pair of aftermarket resin guns to spruce up a 1/32 WWI aircraft. I think their slightly oversize appearance adds a comical touch. 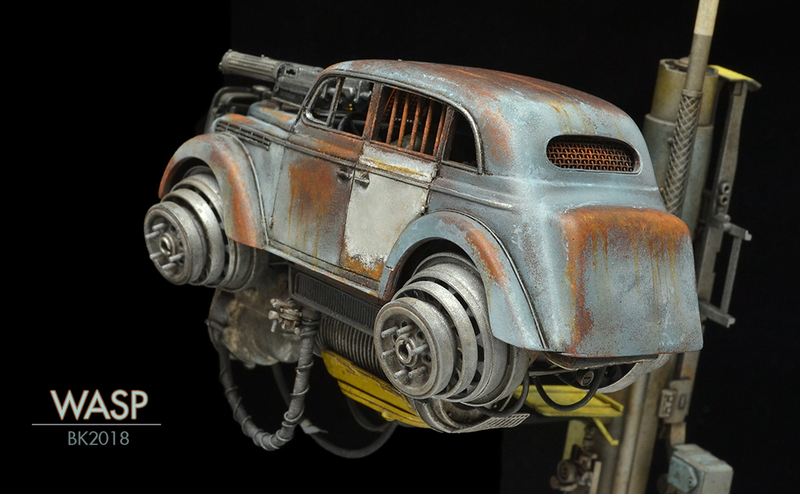 The chipping was created with the hairspray technique and various oils, enamels and pigment rust tones were applied to give some variety. 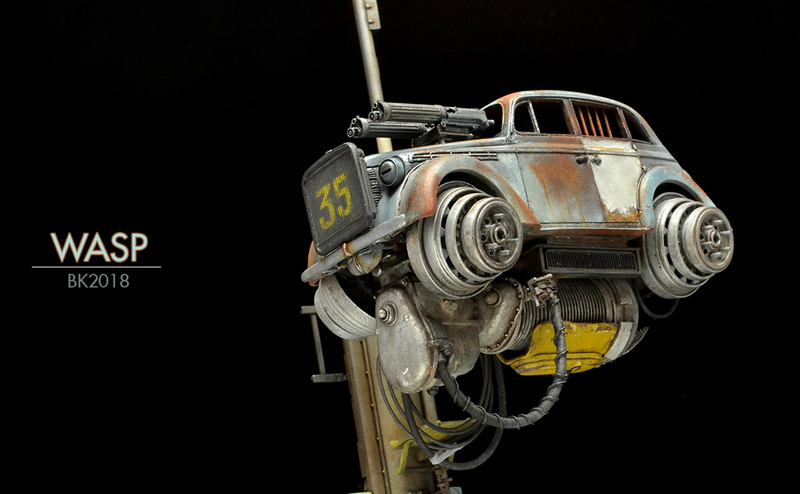 The undercarriage was painted with Alcad metallic paints and weathered with a lot of grey-grime and dust tones. Not much of the pilot nor interior is visible after the shell is placed so I didn't kill myself on the paint and details. 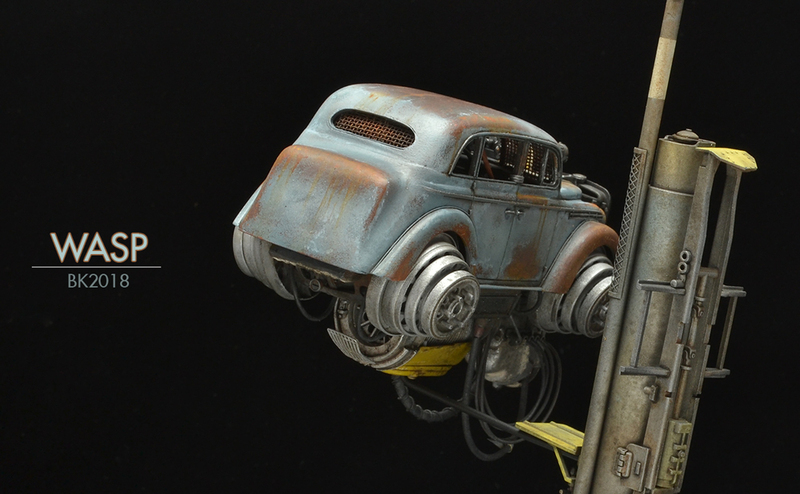 The upright post is styrene tube with an appliqué of various model parts. A simple base supports the model. 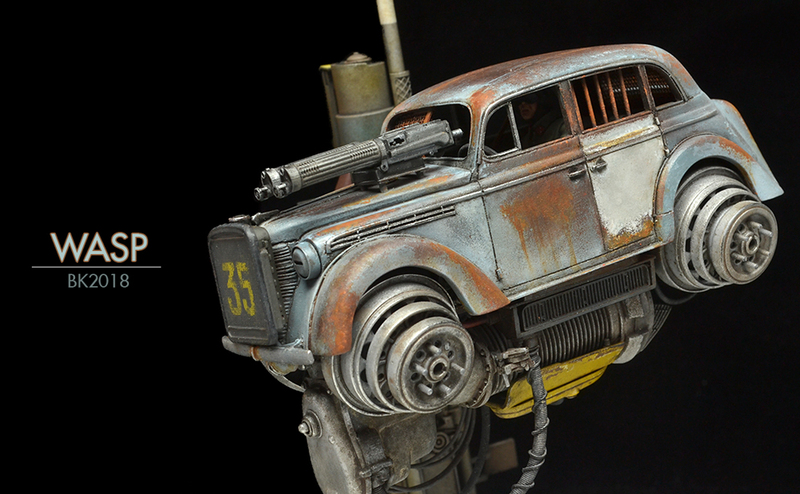 This was an absolute blast to build and paint.